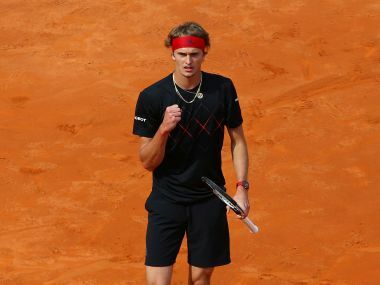 Paris: Alexander Zverev has emerged as the main threat to Rafael Nadal's French Open crown in recent weeks as he bids to end Germany's 81-year wait for a men's singles title at Roland Garros. The 21-year-old suffered his fifth defeat in five meetings with Nadal in Sunday's Italian Open final, but the way he fought back from losing the first set 6-1 only enhanced his already-burgeoning clay-court credentials. 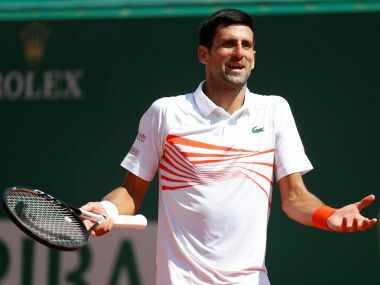 The rising star has never reached the quarter-finals of a Grand Slam tournament, but he will be the second seed in Paris after winning his second Masters title on clay in Madrid, where he beat Nadal's conqueror Dominic Thiem in the final. A run of 13 wins in a row was only ended by 10-time French Open winner Nadal on Sunday, and Zverev is looking to continue his momentum. "I try to play the same way, play the same way over a longer period of time, which will be in Paris," he said. 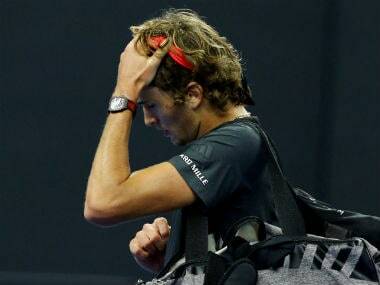 "Right now, the next few days, I won't even think about tennis. And then I'll go to Paris and do my best to prepare and try to compete for the French Open. "Of course, Rafa will be the favourite there, there's no question about it. I'll be in the other half of the draw. So, that's a good thing." Before thrashing Thiem 6-0, 6-2 in Monte Carlo last month, Nadal said the Austrian was "probably one of the three best clay-court players on tour", but the last fortnight has shown that Zverev is potentially even more dangerous. By stepping into the court and attacking Nadal's fearsome forehand with his double-handed backhand, Zverev turned the tide in the final at the Foro Italico, before the rains came and the Spaniard won five straight games to close out the match. 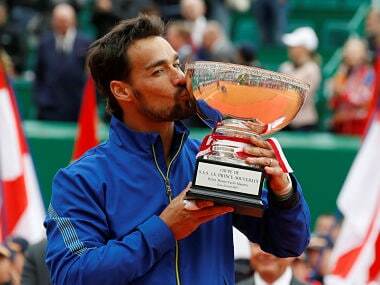 "I was not far away from beating Rafa on a clay court in a Masters final. So I guess I can take that into Paris," he added. "Great backhands help. But right now, I'm 0-5 in the head to head. "I don't know. We'll see next time I play him. But right now, he's in control of me." The last German man to lift La Coupe des Mousquetaires was Henner Henkel, who later died in World War II's Battle of Stalingrad, in 1937 under the flag of Nazi Germany. That victory over Britain's Bunny Austin was the country's third in four years at the French Open after two previous titles for Gottfried von Cramm. Few would have believed then that over 80 years on Germany would still be waiting for another men's champion, with Michael Stich coming closest in a four-set final defeat by Yevgeny Kafelnikov in 1996. Unlike Stich and six-time Grand Slam champion Boris Becker, a three-time semi-finalist at Roland Garros, Zverev's best surface is clay. The world number three's clinical win over Thiem in Madrid delivered his second Masters triumph on the red dirt, and he was possibly only a rain delay away from beating Nadal to add a third as he narrowly failed to defend the title in Rome. "I kind of found the way, you know, felt like I had control over most of the points," said Zverev. "That is very important against him on clay... And then... The rain delay didn't help me, definitely." Zverev's poor form in Grand Slams can be put down to inexperience and finding himself lower down the seedings, although last year's US Open second-round loss to Borna Coric was disappointing. He was also the fourth seed when running out of gas late in the match against fellow youngster Chung Hyeon earlier this year at the Australian Open, but there can be no doubt that a major breakthrough is only a matter of time.